The portfolio review now turns (finally) to SSE plc - previously Scottish and Southern Energy, a Scottish-based power utility operating mainly in the UK and Ireland - it is the second largest supplier of energy (electricity and gas) in the UK and the largest UK generator of sustainable energy. The current historic yield is approaching 6% - which is impressive for a company in a highly regulated industry. How do they do? And is this level of income sustainable? As it happens, the 2011/12 Annual Report came out today...painting a mixed picture. The company was formed in 1998 following a merger between Scottish Hydro-Electric and Southern Electric and has subsequently been snapping up a range of energy-related companies. 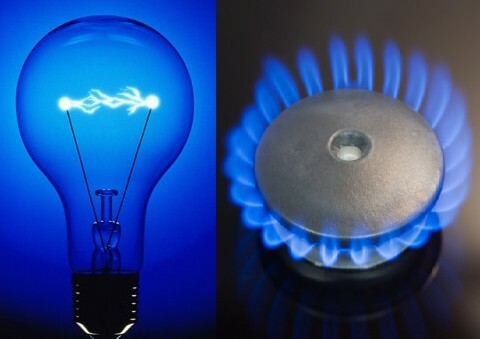 SSE is one of the broadest-based energy companies in the UK, with interests in electricity and gas production, electricity and gas distribution, electricity and gas supply and electricity and gas services. It is also - unexpectedly perhaps - the UK's fourth largest telecoms network company. Wisely perhaps (in my view at least), SSE is staying away from nuclear, although it has flirted (and then withdrawn) with the development of a new nuclear power station at Sellafield. Their mission statement is reassuring (for dividend-oriented income investors): "Our core purpose is to provide the energy people need in a reliable and sustainable way. Our strategy is to deliver sustained growth in the dividend payable to shareholders through the efficient operation of, and investment in, a balanced range of regulated and non-regulated businesses." The most worrying aspect of the results is the fall in retail operating profit - surely at the core of what SSE is about. We need to 'watch this space'. "The recommended full-year dividend increase of 6.8% represents the thirteenth successive above-inflation dividend increase since SSE paid its first full-year dividend in 1999. SSE is now one of just five continuing FTSE 100 companies to have delivered better-than-inflation dividend growth every year during this period, and ranks third amongst that group in terms of compound annual growth rate. Of the 48 companies which have been FTSE 100 constituents since 1998, when SSE joined the Index, SSE is ranked 10th for Total Shareholder Return." As might be expected, the Annual Report contains a lot of detail on power generation and the market conditions facing SSE. I can't pretend to have digested all of this. However, despite the disappointing result in the retail market, the overall financial result is acceptable and the continuing commitment to paying attractive dividends helps (for the time being) to keep me happy about continuing to hold SSE shares, which are showing a capital gain equivalent to nearly two years' dividends.